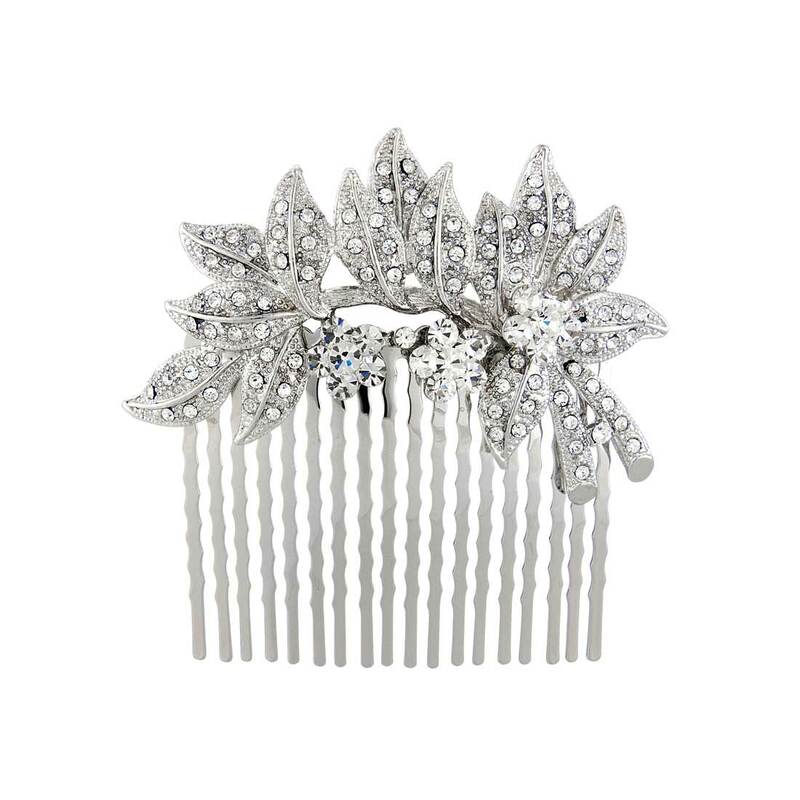 A stunning crystal hair comb with subtle Grecian influences blended with glamorous 1940s style. Leaves of Beauty Hair Comb combines Grecian style with the timeless glamour of the 1940s. Featuring a curved design of leaves encrusted with sparkling clear Austrian crystals and enhanced with crystal flowers, this is the perfect hair accessory to make a chic style statement. Adorn a side chignon or decorate an elegant up-do, Leaves of Beauty Hair Comb looks fabulous coordinated with a pair of crystal drop earrings and a bejewelled bangle for special occasions when you simply have to sparkle. A stunning wedding hair comb for brides wearing a Grecian or '40s style gown, this is a 'piece' to add effortless class to your bridal style. Just been delivered. Ordered for my bridesmaids and they are even more stunning than the picture. I am totally delighted!